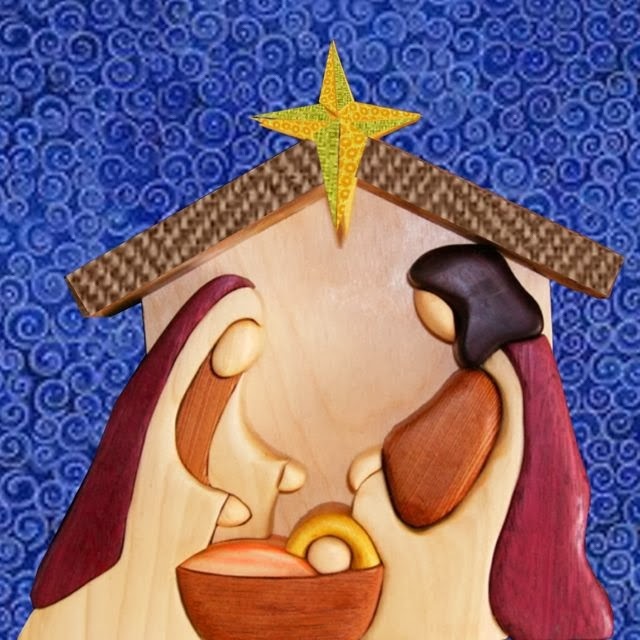 Welcome to Day 5 of HomeKRAFTed Christmas Cards! 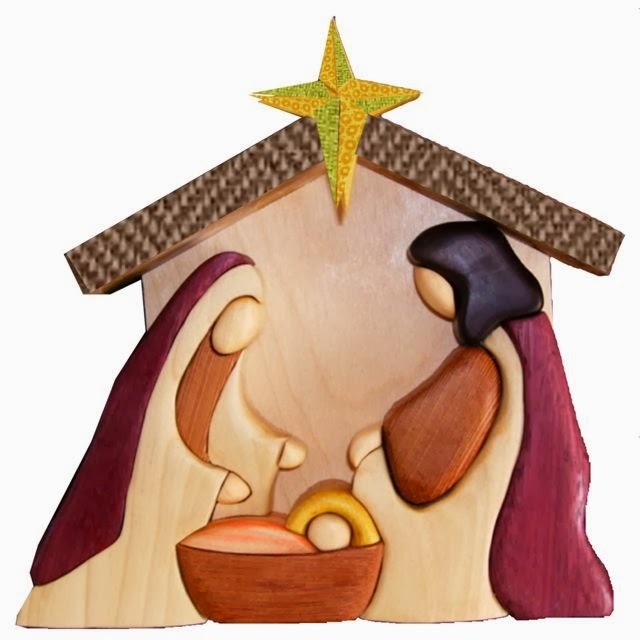 Today we will learn how to make a collage of The Nativity Scene. I made this digital collage using PIXELMATOR. However, this can easily be replicated into a paper collage project. 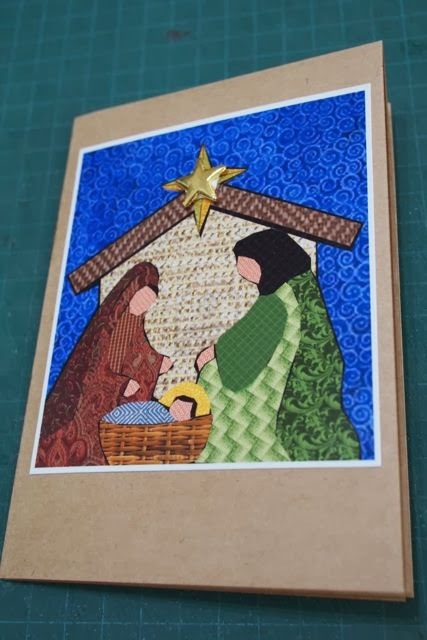 Just print your template on card stock and glue fabric or paper directly over their designated sections. 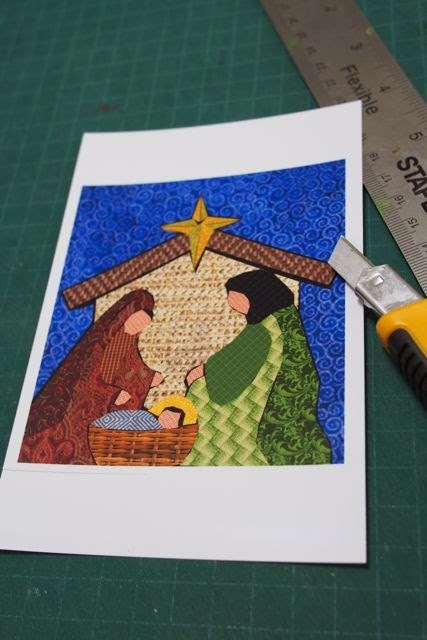 If you are making a bigger card you can also make templates of the different sections of the image so it’s easier for you (and your students) to cut the different fabric/paper to the shape/size needed to complete the Nativity collage. 1. 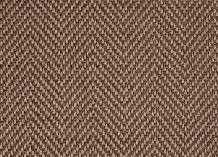 THE ROOF: Drag onto Pixelmator a brown fabric design like this one below. Trace the shape of roof and then copy and paste from your brown fabric. 2. THE STAR: Drag onto Pixelmator a yellow and green fabric or paper design like this one below. I only made one point of the star using these green and yellow images then duplicated it to create the remaining points of the star. 3. THE NIGHT SKY: Drag onto Pixelmator a blue fabric or paper design like this one below to fill the background. 4. THE MANGER: Drag onto Pixelmator a natural fiber design like this one below. 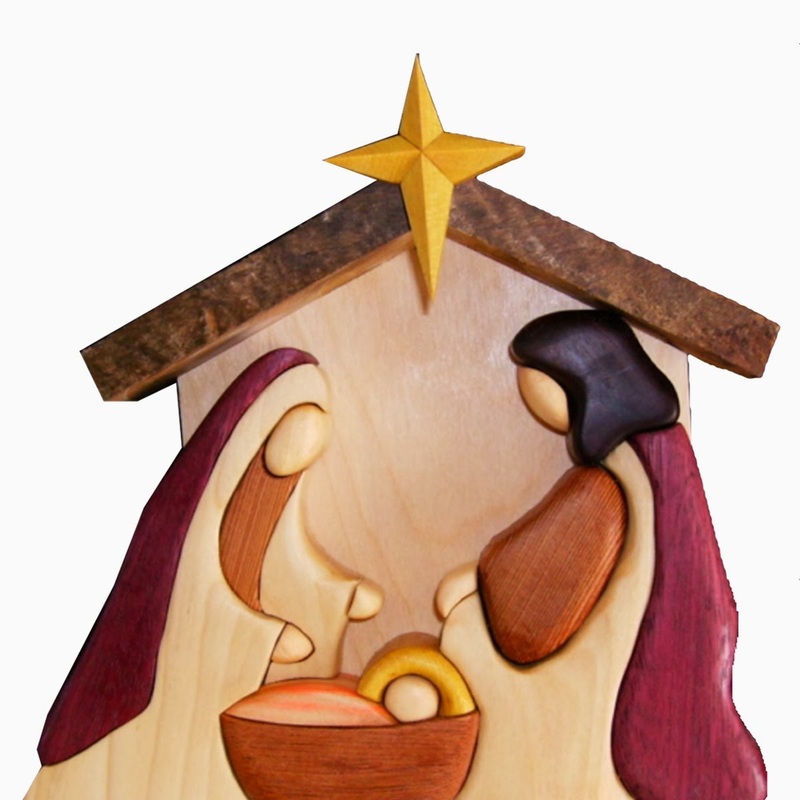 Trace the shape of the stable. 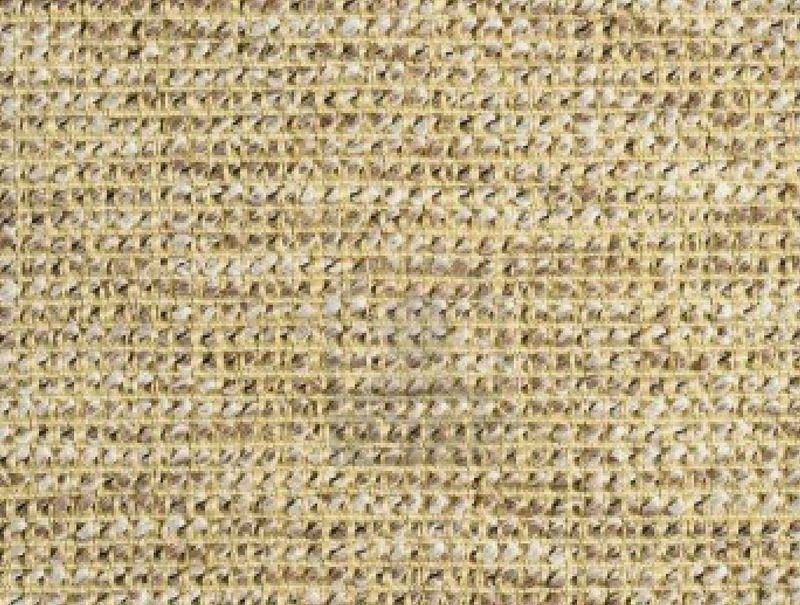 Copy and paste from your natural fiber image. 5. MARY’s Clothing: Drag onto Pixelmator three magenta or red fabric designs like the assortment I have below. 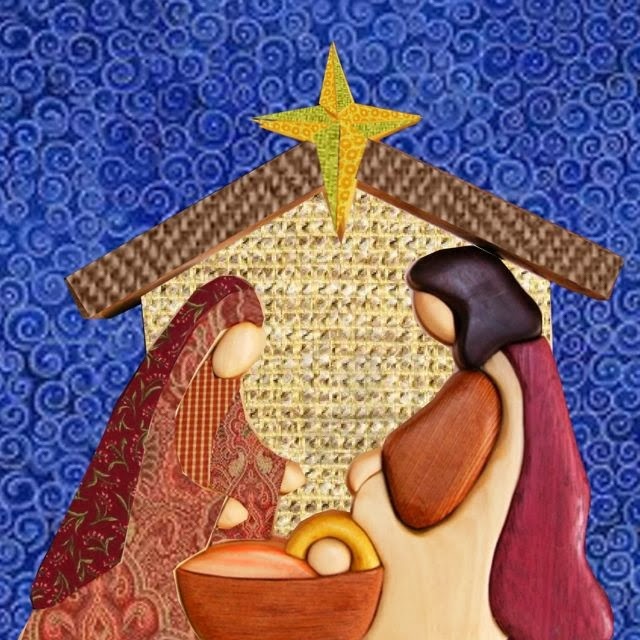 Trace the sections of Mary’s clothing one by one, and then copy and paste to make your digital collage. 6. JOSEPH‘s Clothing: Drag onto Pixelmator three green fabric designs like the assortment I have below. Trace the sections of Joseph’s clothing one by one, and then copy and paste to make your digital collage. 7. BABY JESUS: Drag onto Pixelmator a blue and a yellow fabric design plus a basket design like the ones I have below. Trace the the sections that pertain to Jesus. Halo: trace and then cut & paste from yellow fabric design. Blanket: trace, then cut & paste from blue fabric design. 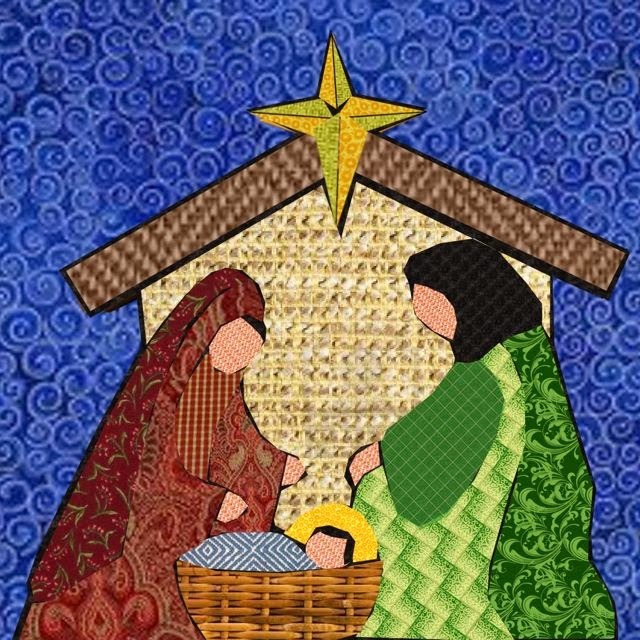 Crib: trace, then cut & paste from basket design. 8.SKIN & HAIR: Drag onto Pixelmator a peach and a black fabric designs. SKIN- Trace hands and faces, cut and paste from the peach fabric. HAIR- Trace Joseph’s hair, cut and paste from black fabric design. BLACK OUTLINE: While using the black fabric design, also cut and paste to create some black outline in some areas of collage. 9. PRINT & CUT: Print the digital collage that you have created onto a 4 x 6 glossy photo paper. Cut to size, leaving a little bit of white border. 10. ADHERE PRINT: Use some double-sided tape to adhere digital collage photo onto your kraft paper. 11. 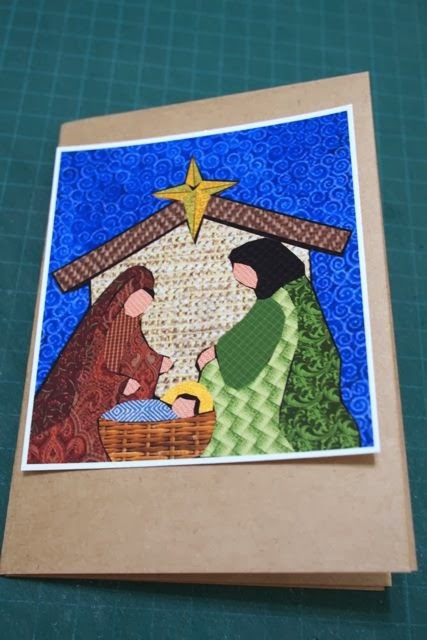 Glue on STAR: Adhere the gold star in the middle of star on collage using a white craft glue. OPTIONAL: Make a matching envelope. 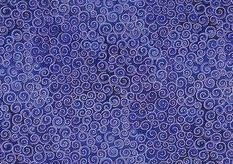 Print the blue fabric design from Step 3 onto a 4 x 6 photo paper. Cut at least 1/2 inch smaller than flap. For white edges… adhere the shape onto white paper and cut leaving a nice white edge. 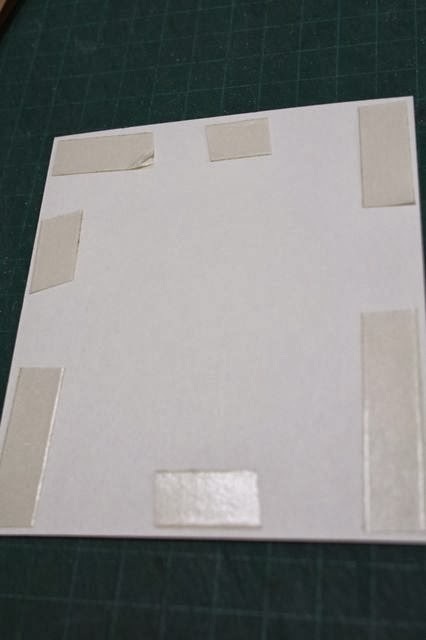 Adhere onto envelope flap using double-sided tape. 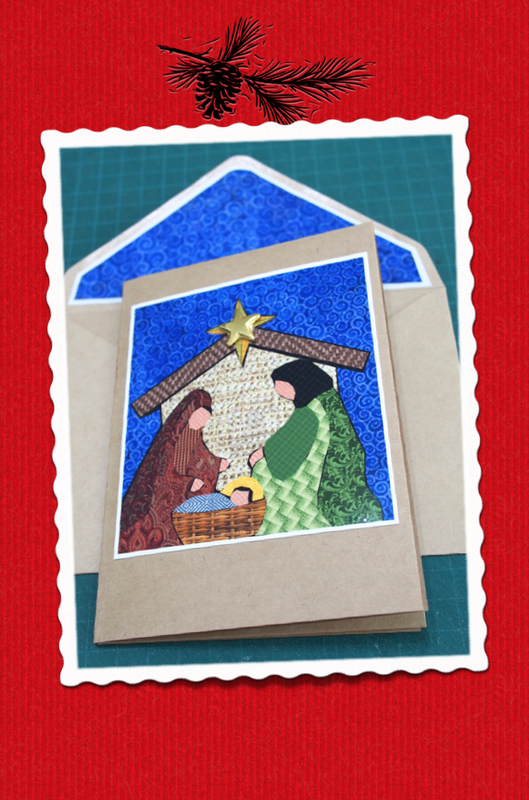 OPTIONAL – Make a matching envelope. And there you have it — Your very own HomeKRAFTed Christmas ‘COLLAGE’ Card! This entry was posted on November 15, 2013 by Paulina Constancia in Communicate, Create and tagged Arts & Crafts, Christmas.